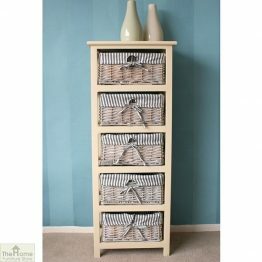 The answer to all your storage over spill problems is the Selsey range. 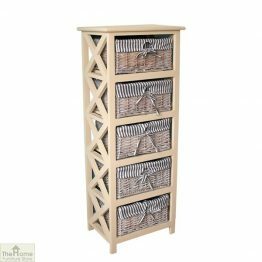 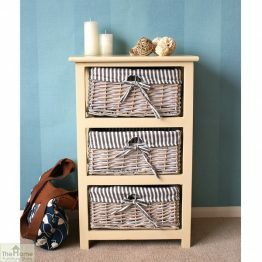 Tidy up your hallway with any one of our versatile storage units. 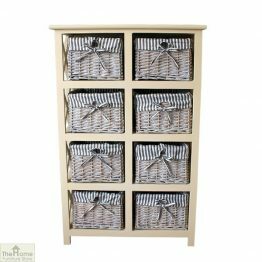 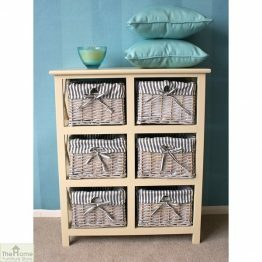 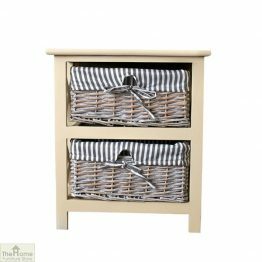 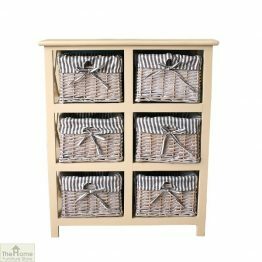 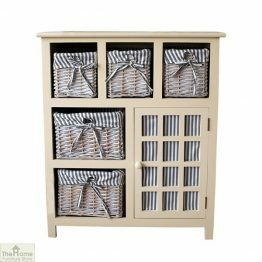 The storage chest with 8 drawers is ideal for clearing up all those untidy toys in the living room.  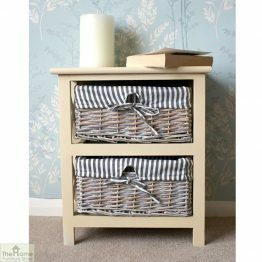 Buy a 2 drawer bedside unit to house your bits and bobs in the bedroom. 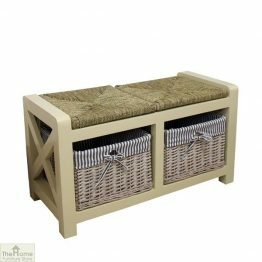 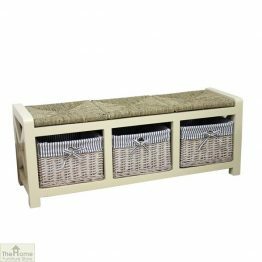 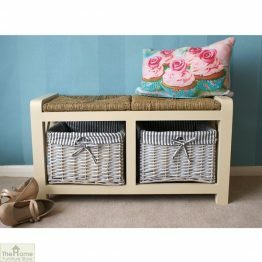 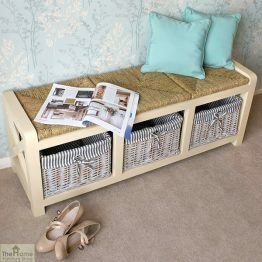 Grab a 3 seater storage bench for the hallway with generous baskets to store the family’s shoes. 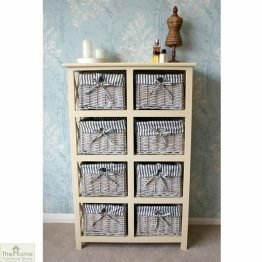 Whichever Unit from the Selsey unit that you choose you will find the answer to order from chaos. 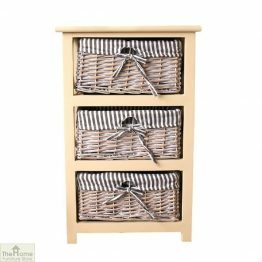 Each unit has a beautifully lined basket drawer made from Wicker. 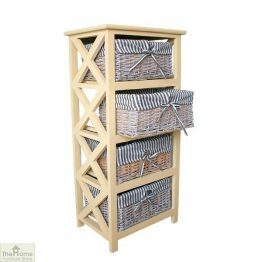 The basket sizes are generous and you can remove each and every one completely to tidy up. 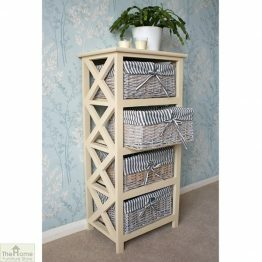 The finish on the wood frames is a warm cream. 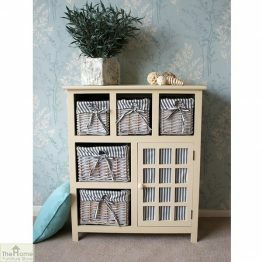 Create order from chaos with a Selsey storage unit!